The Auto Show season might officially start in the fall with the Los Angeles Auto Show in December but there are still new arrivals to be seen when the New York Auto Show rolls around in April. This year was no exception with major automakers launching everything from SUVs to speed demons and even a station wagon. 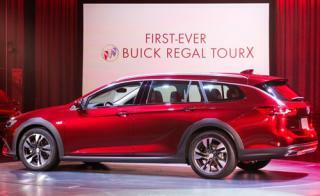 2018 Buick Regal TourX – Buick has taken the midsize Regal sedan and will now offer it as a 5 door hatchback or the TourX station wagon, a design intended to look more like a crossover, while the 5 door looks more like a traditional sedan with better cargo access. 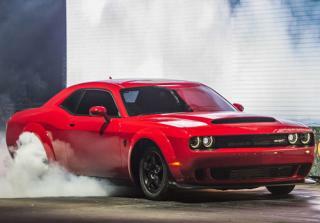 2018 Dodge Challenger SRT Demon – The car everyone was talking about at this year’s show was the Challenger SRT Demon. With 808 HP for the street and 840 HP on the track using 100+ octane, the Demon can go zero to 60 in just 2.3 seconds. Pricing has yet to be announced but Dodge promises to include a free day of driver training at Bob Bondurant School of High-Performance Driving so you can make the most out of this beast of a muscle car. 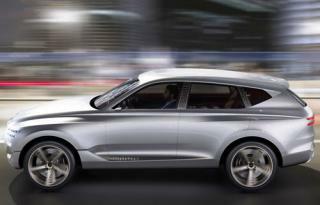 Genesis GV80 SUV – Hyundai spun off the Genesis line as a luxury brand this year and the GV80 concept is the first look at how they will approach a crossover. The GV80 is expected to have 3 row seating, a large LED screen in the dash, and loads of luxury features. Hyundai’s new Genesis head designer is Luc Donckerwolke, who was formerly chief designer at Bentlety so big things are expected from the new brand. Infinity QX80 Monograph – With 24” wheels and standing nearly 7’ tall the QX80 Monograph is a large, full-size luxury SUV with an emphasis on luxury. The entire front end has been updated with the double-arch grille and piano key headlights that extend around the sides along with side-view cameras for safety. 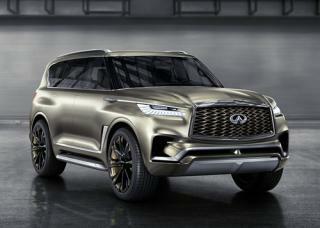 The concept is intended to set Infinity’s SUV apart from the Nissan Armada. 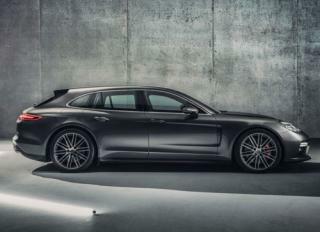 2018 Porsche Panamera Sport Tourismo – With an adaptive roof spoiler the Panamera Sport Tourismo is Porche’s answer to those that want performance in a station wagon. Prices are expected to start just under $100K for the 330-hp turbo V-6 Panamera 4 Sport Turismo and it’s the first Panamera that can seat 5. You’ll have to wait a while to get your hands on these concepts and new releases but AutoBuying101.com can help you find a great deal on a new auto, truck, or SUV today with quotes from local dealers and inventory searches.